A member of the Philadelphia Parking Authority writes a ticket for an expired meter in Center City. Pennsylvania Gov. 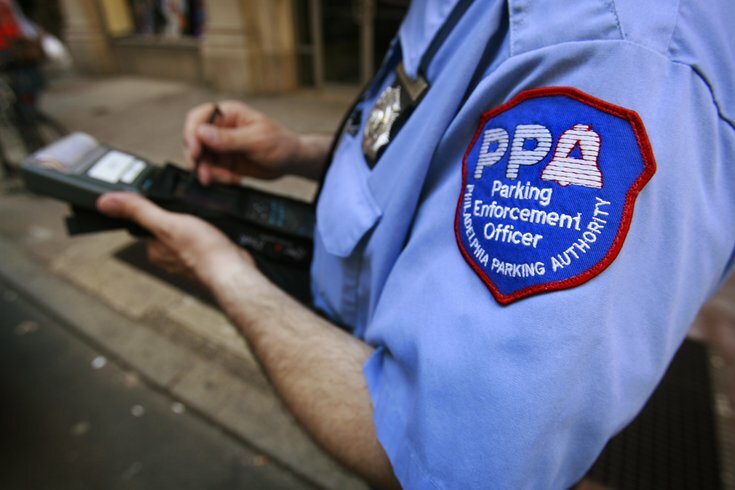 Tom Wolf called for the state attorney general to investigate the Philadelphia Parking Authority Friday in the wake of a sexual harassment scandal that led to the resignation of the department's executive director. In a letter to Attorney General Bruce Beemer, Wolf asked for an examination of the PPA's books, accounts, and records. "The agency remains uniquely opaque in state government. It was established without significant oversight, and it remains largely self-policed," Wolf said. PPA Executive Director Vince Fenerty resigned this past week after it was revealed two women had accused him of sexually harassing them. Fenerty, who had made more than $220,000 a year, was forced to pay $30,000 for an independent investigation last year into an incident with a senior director at the authority, the Inquirer reported. The PPA determined that Fenerty, 60, had sexually harassed the complainant and he was reprimanded, but not fired. It was then revealed that another woman had been offered a $150,000 settlement in 2007 after Fenerty allegedly harassed her repeatedly. The Inquirer reported that the PPA's executive board had been notified of that complaint at the time, but a PPA spokesperson said board members forgot about that incident in deciding not to fire Fenerty after the most recent accusations because the case had been withdrawn. Wolf said the sexual harassment accusations were "disturbing and unacceptable," adding that they were "potentially ignored by the board." "As stewards of the taxpayer’s resources, it is our job to make sure every office of government is delivery value honesty, efficiently, and effectively," Wolf said in his letter to Beemer. "Recent events make it clear that we cannot say with any certainty that the Philadelphia Parking Authority is living up to this standard."